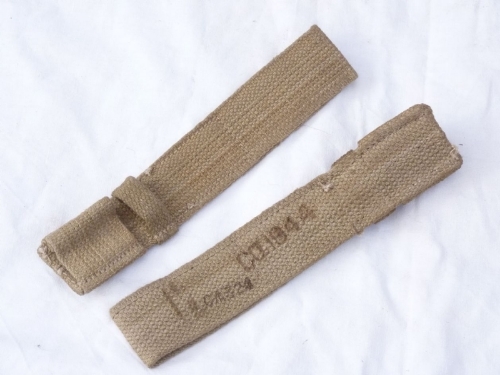 This is a webbing frog in khaki, specifically designed for the narrow tubular scabbard of the no4 spike bayonet, as opposed to the larger retaining loops for the wider no7, no9 and pattern 1907 scabbards. Dated 1944 and maker marked on the rear. 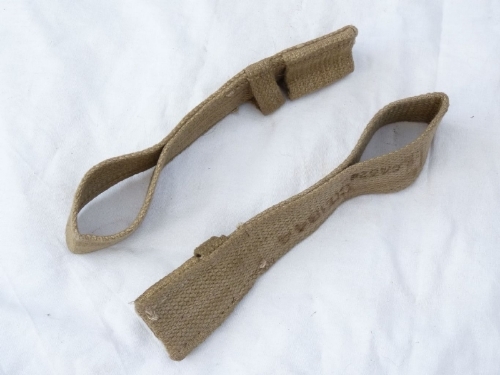 In new, unissued condition, a lovely snug fit for your spike scabbard. PLEASE NOTE!! picture is representative, we have several of these all the same.